ST. LOUIS, Feb. 5, 2019 /PRNewswire/ -- The Enterprise Rent-A-Car brand has already taken the lead in the travel industry in 2019 by earning gold in four car rental categories: Overall, Domestic, Luxury/Exotic Fleet and Website. Enterprise also scored an additional silver award in the International category. 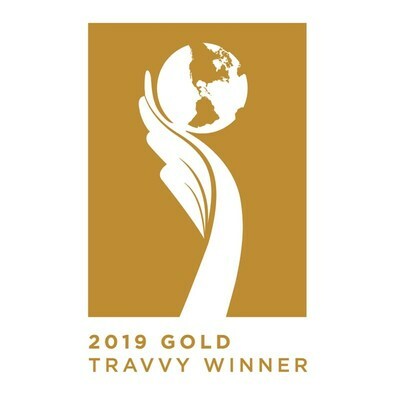 The 2019 Travvy Awards, presented by travAlliancemedia, recognize the highest standards of excellence in the travel industry and honor travel companies, travel products, travel agencies and destinations for their outstanding achievement with a prize considered to be the Academy Awards of the travel industry. More than 100,000 votes – cast by the agents who sell the vast majority of these trips to tens of millions of consumers yearly – determined this year's Travvy Award winners. Enterprise earned five total awards, more than any other brand in the car rental category. "Our growth and success have always been achieved by providing unsurpassed customer service and a superior rental experience," said Christine Taylor, President and Chief Operating Officer of Enterprise Holdings, which owns Enterprise Rent-A-Car as well as the National Car Rental and Alamo Rent A Car brands. "These awards reflect our commitment to developing strong relationships with our travel partners and constantly seeking out new ideas and technologies to help us improve the rental experience," added Taylor, who participated in last year's Global Business Travel Association (GBTA) panel discussion, "Is Bigger Better? The Impact of Industry Consolidation on Business Travel." During the GBTA discussion, Taylor stressed that "our customers push us to innovate every single day." For example, Enterprise Holdings' acquisition and corporate venture-capital strategy focuses on technologies and business models that not only accelerate industry-leading transportation solutions, but also guarantee customer satisfaction in a rapidly changing marketplace. Enterprise Holdings also partnered with Deem in 2018 to help business travelers to China book the National Car Rental brand's "National Car and Driver" service either directly through the Deem Work Fource application, or their travel management partner. Such acquisitions and partnerships enhance the services available to customers and position Enterprise Holdings as a long-term industry leader in mobility and innovation – regardless of whether vehicles are rented by the hour, day, week or longer. Enterprise Holdings – through its integrated global network of independent regional subsidiaries and franchises – operates the Enterprise Rent-A-Car, National Car Rental and Alamo Rent A Car brands at more than 10,000 fully staffed neighborhood and airport locations. Combined, Enterprise Holdings and its affiliate Enterprise Fleet Management accounted for $24.1 billion in revenue and owned 2 million vehicles throughout the world in fiscal year 2018. Enterprise Holdings ranks near the top of the global travel industry, ahead of many airlines and most cruise lines, hotels, tour operators and online travel agencies. Enterprise Holdings' regional subsidiaries and Enterprise Fleet Management currently employ 100,000 worldwide. Enterprise Holdings currently is ranked as one of America's Largest Private Companies. Furthermore, if it were publicly traded, Enterprise Holdings would rank on Fortune's list of the 500 largest American public companies.